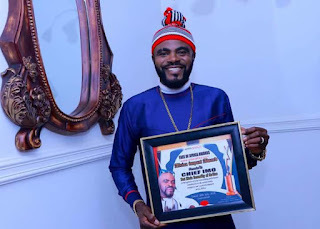 Racall that Nwosu had earlier in the year received a letter of nomination from the organization notifying him of his selection for the prestigious honour said to be reserved for few privileged Nigerians who have distinguished themselves in their chosen field of endeavour, aswell as meritorious service to humanity in general. 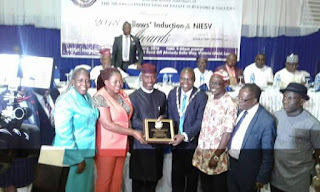 The event which held at Habour Point Event Centre, Ahmadu Bello Way, Victoria Island had Nwosu receiving the Honorary Fellow alongside two other distinguished Nigerians; Governor Akinwumi Ambode of Lagos state and Air Vice Marshal Moses Akinola Akisanmi, while 46 distinguished members of the institution from diferent states who got fellowship award. Speaking at the event, Nwosu appreciated leaders and members of the institution for finding him worthy for such rare national honour. He expressed his love and admiration for the Estate Surveyors which he described as a sister profession to his own profession. "What this induction has shown me is that every action of man is taken note of. Today with my induction, I have become part and parcel of you. I promise never to let you down". 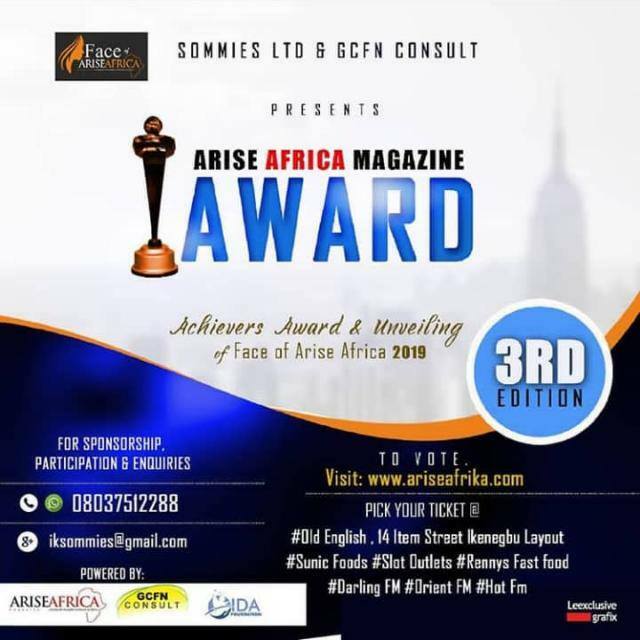 He appreciated Imolites in Lagos who trouped out to the venue to celebrate the honour with him. In their separate speeches, President of the institution, ESV Dr Patunola Ajayi and other leaders; Alhaji SA Dokpemu, Alhaji Femi Okumnu congratulated the inductees for their deserved honor. They noted that the honorary fellowship of the institution is reserved for specially distinguished members of the society who are also special friends and partners with the institution. The Imo state Chiarman of the institution, ESV Cajethan Ohiri and other members of his executive, as well as Members of Junior Chamber International (JCI) Ikoyi were also present to offer their support. Hon. Jeff Nwoha, Dr Uzoma Anwuka, Hon. Basil Ogwunga, Hon. Ugochukwu Onwusereaka, among others.